CHAPTER 2003-353 House Bill No. 849 An act relating to the Collier County Water-Sewer District, an independent special district in Collier County; codifying, amending, reenacting, and repealing the District’s special acts; providing legislative intent, jurisdiction, and restrictions with regard to the City of Naples, Everglades City, the Immokalee Water and Sewer District, the City of Marco Island, the geographic area called Golden Gate, and other specified unincorporated areas of Collier County; providing definitions; providing authority with regard to adoption of rates, fees, and charges and issuance of bonds, trust funds, and trustees; providing for covenants of District Board with bondholders; providing that unpaid fees constitute liens; providing for publication of notice of issuance of bonds and that bonds shall have the qualities of negotiable instruments; providing for rights of holders and annual reports of the District Board; continuing provisions for District bonds as securities for public bodies; providing for contracts for construction of improvements and sealed bids, and special assessments; prohibiting free water and free sewer service; providing for impact fees; providing for conveyances of property without consideration; providing for District approval of construction of water and sewage facilities; providing for construction; providing for penalties and enforcement; repealing chapters 73-437, 74-462, 77-531, 78-489, 78-492, 80-484, 82-280, 88-499, 89-452, and 96-451, Laws of Florida; providing an effective date. Be It Enacted by the Legislature of the State of Florida: Section 1. Pursuant to section 189.429, Florida Statutes, this act constitutes the codification of all special acts relating to the Collier County WaterSewer District, an independent special district and public corporation of the state. It is the intent of the Legislature in enacting this law to provide a single, comprehensive special act charter for the District, including all current legislative authority granted to the District by its several legislative enactments and any additional authority granted by this act. It is further the intent of this act to preserve all District authority, including the authority to annually assess and levy taxes or non-ad valorem assessments against all assessable property in the District. Section 2. Chapters 73-437, 74-462, 77-531, 78-489, 78-492, 80-484, 82280, 88-499, 89-452, and 96-451, Laws of Florida, are amended, reenacted, codified, and repealed as herein provided. Section 3. The charter for the Collier County Water-Sewer District is recreated and reenacted to read: Section 1. Legislative intent.—It is declared as a matter of legislative determination that the extensive growth population and attendant commerce throughout Collier County continue to give rise to public health and water supply concerns, in that many of the unincorporated areas of Collier 1 CODING: Words stricken are deletions; words underlined are additions. County are not served by water and sewer facilities normally and generally provided and maintained by governmental agencies and, instead, are served by private wells and privately-owned package sewage treatment plants or septic tanks; that the proliferation of such package sewage treatment plants and use of septic tanks poses a significant risk of contamination of water supply sources for both incorporated and unincorporated areas of Collier County; that it is the intent of the Legislature to continue to authorize the Board of County Commissioners of Collier County to act as the governing board (District Board) of the Collier County Water-Sewer District with overall responsibility for the provision of water and sewer services to specified geographic areas of Collier County as hereinafter provided. Section 2. Collier County Water-Sewer District reestablished.—This District is a political subdivision of the state and a body corporate and politic. The Board of County Commissioners of Collier County shall be the governing board of the District with rights, powers, and responsibilities as provided in this act and by general law, including, but not limited to, the authority to enact ordinances and adopt resolutions, to adopt rules and regulations for its own government and proceeding, and to adopt an official seal for the District. This act may be known and be cited as the “Collier County WaterSewer District Act.” Section 3. Jurisdiction, restrictions, and boundaries as applied to the City of Naples, Everglades City, Immokalee Water and Sewer District, Marco Island, Golden Gate, and other unincorporated areas.— (1) The Collier County Water-Sewer District Board shall exercise jurisdiction over the provision of water and sewer services within the boundaries as hereinafter provided for. The Board shall be exempt from the provisions of chapter 120, Florida Statutes. No privately-owned water or sewer utility shall be abandoned without adequate provision for continuance of service and the prior approval of the Board. (2) Notwithstanding any other provisions of this act, the District Board shall exercise no jurisdiction or power of any kind over properties located within the boundaries of the City of Naples water and/or sewer service areas, or Everglades City, as all such boundaries exist on the effective date of this act, except as may be consented to in writing by the respective city councils. The District Board may exercise jurisdiction and power over properties located within the prior geographic boundaries of the Pelican Bay Improvement District. In 1991 the District assumed the bonds of that District and, pursuant to Resolution No. 91-216 began serving within that geographic area. (3) Any portion of the unincorporated area of Collier County, except the Immokalee Water and Sewer District, and the areas described in subsection (5), paragraphs A., B., C., and D., may be added to the boundaries of the Collier County Water-Sewer District by adoption of a resolution by the District Board. Such resolution may be adopted only after notice of intent to consider the resolution at a public hearing at a specified date, place, and time shall have been published at least once a week for 2 consecutive weeks in a newspaper of general circulation in Collier County. Areas described in 2 CODING: Words stricken are deletions; words underlined are additions. Beginning at the easterly shoreline of the Gulf of Mexico and the North line of Section 6, Township 48 South, Range 25 East, Tallahassee Meridian, Collier County, Florida; thence East along the North line of said Section 6 and Section 5 to the Northeast corner of Section 5, Township 48 South, Range 25 East; thence South along the East line of said Section 5 to the Southeast corner of said Section 5, Township 48 South, Range 25 East; thence East along the North line of Sections 9, 10, 11, and 12 of Township 48 South, Range 25 East to the Northeast corner of Section 12, Township 48 South, Range 25 East; thence East along the North line of Sections 7, 8, and 9 to the Northeast corner of Section 9, Township 48 South, Range 26 East; thence South along the East Section line of Sections 9 and 16 to the Southeast corner of Section 16, Township 48 South, Range 26 East; thence East along the North Section line of Sections 22 and 23 to the Northeast corner of Section 23, Township 48 South, Range 26 East; thence South along the East section line of Sections 23, 26 and 35 to the Southeast corner of Section 35, Township 48 South, Range 26 East; thence South along the East line of Sections 2, 11, 14, 23, and 26 to the Southeast corner of Section 26, Township 49 South, Range 26 East; thence East along the North line of Section 36, Township 49 South, Range 26 East to the Northeast corner of said Section 36; thence South along the East line of Section 36, Township 49 South, Range 26 East to the Southeast corner of said Section 36; thence South along the East line of Section 1 to the Southeast corner of Section 1, Township 50 South, Range 26 East; thence West along the North line of Section 12, Township 50 South, Range 26 East to the Northwest corner of said Section 12; thence South along the East line of Sections 11, 14, 23, 26 and 35, Township 50 South, Range 26 East to the Southeast corner of Section 35, Township 50 South, Range 26 East; thence South along the East line of Section 2, Township 51 South, Range 26 East to a point of the East line of Section 2 lying one (1) mile North, as measured perpendicular to the Northerly right-of-way line of U.S. 41, State Road 90, Tamiami Trail; thence Southeasterly along a line lying one (1) mile North, as measured perpendicular to the Northerly right-of-way line of U.S. 41, State Road 90, Tamiami Trail, to a point on the East Section line of Section 22, Township 51 South, Range 27 East; thence continue South along the East Section line of Sections 22, 27 and 34, Township 51 South, Range 27 East, to the Southeast corner of said Section 34; thence continue South along the East Section line of Section 3, Township 52 South, Range 27 East, to the intersection of said East Section line of Section 3 with Black Water River; thence Southerly along the waters of Black Water River and Black Water Bay to their intersection with Gullivan Bay; thence Westerly along the waters of Gullivan Bay and Sunfish Flat and 3 CODING: Words stricken are deletions; words underlined are additions. Caxambas Bay to Caxambas Pass; thence West through Caxambas Pass to the Easterly shoreline of the Gulf of Mexico; thence Northerly along the Easterly shoreline of the Gulf of Mexico to the intersection of the Easterly shoreline of the Gulf of Mexico and the North line of Section 6, Township 48 South, Range 25 East, being the Point of Beginning; AND Beginning at the southwest corner of Section 31, Township 48 South, Range 27 East; thence along the west line of said Section 31, North 01°09′24″ West 171.66 feet; thence leaving said west line North 83°50′36″ East 127.49 feet; thence north 68°11′27″ East 312.23 feet; thence South 83°37′40″ East 1074.79 feet; thence North 12°38′39″ East 90.57 feet; thence North 74°34′44″ West 439.84 feet; thence North 89°59′36″ West 538.03 feet; thence North 47°32′40″ West 324.00 feet; thence North 29°27′34″ West 131.44 feet; thence North 06°47′28″ West 278.30 feet; thence North 85°09′12″ East 1515.99 feet; thence North 04°50′48″ West 350.,00 feet; thence North 89°57′58″ East 940.00 feet; thence North 22°40′09″ East 580.00 feet; thence North 32°24′35″ West 831.83 feet; thence North 07°23′02″ West 1884.92 Feet; thence North 24°30′12″ East 230.40 feet; thence North 63°03′47″ East 78.78 feet; thence South 60°24′49″ East 68.67 feet; thence South 69°35′20″ East 178.33 feet; thence South 66°45′54″ East 103.57 feet; thence South 41°21′25″ East 58.77 feet; thence South 09°23′59″ East 146.74 feet; thence South 60°56′19″ East 161.95 feet; thence South 86°10′30″ East 169.68 feet; thence South 65°47′35″ East 108.59 feet; thence South 61°42′19″ East 160.73 feet; thence South 51°09′20″ East 246.90 feet; thence South 17°08′46″ East 135.69 feet; thence South 05°30′20″ East 174.19 feet; thence South 36°22′19″ East 85.39 feet; thence South 01°28′39″ West 193.59 feet; thence South 20°43′55″ West 57.31 feet; thence North 89°21′53″ East 132.49 feet; thence South 00°38′07″ East 600.72 feet; thence North 87°40′00″ East 1319.77 feet to a point on the east 1/4 corner of said Section 31; thence along the east line of said Section 31, South 00°39′23″ East 2682.53 feet to the southeast corner of said Section 31; thence along the south line of said Section 31, South 87°55′34″ West 5136.08 feet to the Point of Beginning of the parcel herein described; containing 112,640 acres more or less; subject to easements and restrictions of record, bearings are based on the south line of said Section 31, being South 87°55′34″ West; LESS AND EXCEPT all of the following: A. Any lands lying within the City of Naples water and sewer service areas as may be revised from time to time by mutual agreement between the City of Naples and the County Water-Sewer District of Collier County, Florida. B. All lands that are subject to Florida Public Service Commission Certificate No. 452-W and Florida Public Service Commission Certificate No. 386-S, heretofore granted to Marco Island Utilities pursuant to Florida Public Service Commission Order No. 17218; and (LESS and EXCEPT) all lands that are subject to Florida Public Service Commission Certificate No. 470-W and Florida Public Service Commission Certificate No. 405-S heretofore granted to Marco Shore Utilities pursuant to Florida Public Service Commission Order No. 17218. 4 CODING: Words stricken are deletions; words underlined are additions. “Bonds” means revenue bonds and assessment bonds. “System” means the water and/or the sewer system of the District. (6) “Sewer system” means and includes any plant, system, facility, or property and additions, extensions, and improvements thereto at any future time constructed or acquired as part thereof, useful or necessary or having 5 CODING: Words stricken are deletions; words underlined are additions. the present capacity for future use in connection with the collection, treatment, purification, or disposal of sewage of any nature or originating from any source, including industrial wastes resulting from any processes of industry, manufacture, trade, or business or from the development of any natural resources; and without limiting the generality of the foregoing definition shall embrace treatment plants, pump stations, lift stations, valves, force mains, intercepting sewers, laterals, pressure lines, mains, and all necessary appurtenances and equipment, all sewer mains and laterals for the reception and collection of sewage from premises connected therewith, and shall include all real and personal property and any interest therein, rights, easements, and franchises of any nature whatsoever relating to any such system and necessary or convenient for the operation thereof. (7) “Water system” means and includes any plant, system, facility, or property and additions, extensions, and improvements thereto at any future time constructed or acquired as part thereof, useful or necessary or having the present capacity for future use in connection with the development of sources, treatment, or purification and distribution of water for domestic or industrial use and, without limiting the generality of the foregoing, includes dams, reservoirs, storage tanks, mains, lines, valves, pumping stations, laterals, and pipes for the purpose of carrying water to the premises connected with such system and includes all real and personal property and any interests therein, rights, easements, and franchises of any nature whatsoever relating to any such system and necessary or convenient for the operation thereof. (8) “Cost” as applied to the acquisition and construction extensions, additions, or improvements to the system includes the cost of: construction or reconstruction, acquisition, or purchase; all labor, materials, machinery, and equipment; all lands and interest therein, property, rights, easements, and franchises of any nature whatsoever; financing charges, and interest prior to and during construction and for not more than 2 years after completion of the construction or acquisition, extensions, additions, or improvements to the system; the creation of initial reserve or debt service funds, and bond discount; plans and specifications, surveys, and estimates of costs and revenues; engineering, financial, and legal services; and all other expenses necessary or incidental in determining the feasibility or practicability of such construction, reconstruction, or acquisition, administrative expenses, and such other expenses as may be necessary or incidental to financing authorized by this act, and including reimbursement to Collier County or to any other person, firm, or corporation for any moneys advanced to the District for any expenses incurred by the District or Collier County in connection with any of the foregoing items of cost, or the reestablishment of the District. (9) “Assessable improvements” means that portion or portions of a sewer system or a water system of a local nature and of benefit to the premises or lands served thereby and particularly, without limiting the generality of the foregoing, with reference to a sewer system, includes, without being limited to, laterals and mains for the collection and reception of sewage from premises connected therewith, local or auxiliary pumping or lift stations, treatment plants or disposal plants, and other appurtenant facilities and equip6 CODING: Words stricken are deletions; words underlined are additions. ment for the collection, treatment, and disposal of sewage; and, with reference to a water system, includes such mains and laterals and other distribution facilities, pumping stations, and sources of supply as are of benefit to the property served by such water system together with incidental equipment and appurtenances necessary therefore. (10) “Revenue bonds” means bonds or other obligations secured by and payable from the revenues derived from rates, fees, and charges collected by the District from the users or future users of the facilities of the system, and which may be additionally secured by a pledge of the proceeds of special assessments levied against benefited property. (11) “Assessment bonds” means bonds or other obligations secured by and payable from special assessments levied against benefited lands, and which may be additionally secured by a pledge of other moneys received by the District. Section 5. Powers and duties of the District Board.—The Collier County Water-Sewer District Board shall have the following powers and duties in addition to and supplementing other powers granted in this act and powers granted to counties by general law: (1) To construct, install, erect, acquire, and to operate, maintain, improve, extend, or enlarge and reconstruct a water system or a sewer system, or both, within the geographic boundaries of the District and the environs thereof and to have the exclusive control and jurisdiction thereof; and to issue its revenue bonds or assessment bonds, or any combination of the foregoing, to pay all or part of the cost of such construction, reconstruction, erection, acquisition, or installation of such water system, sewer system, or both. (2) To regulate the use of sewers and the supply of water within the District’s boundaries and to prohibit the use and maintenance of outhouses, privies, septic tanks, package sewage treatment plants, or other unsanitary structures or appliances. (3) To fix and collect rates, fees, and other charges (including impact fees and system development charges) to persons or property or both for the use of the facilities and services provided by the water system or sewer system or both, and to fix and collect charges for making connections with the water system or sewer system, and to provide for reasonable penalties on any users or property for any such rates, fees, or charges that are delinquent. (4) To acquire in the name of the District by purchase, gift, or the exercise of the right of eminent domain, pursuant to chapters 73 and 74, Florida Statutes, such lands and rights and interests therein, including lands under water and riparian rights, and to acquire such personal property as it may deem necessary in connection with the construction, reconstruction, improvement, extension, installation, erection, or operation and maintenance of the system, and to hold and dispose of all real and personal property under its control. The power of eminent domain may be exercised both within and outside the boundaries of the District but within the boundaries of Collier County. The eminent domain powers of the District as authorized in this 7 CODING: Words stricken are deletions; words underlined are additions. section may not be exercised in the areas specifically excluded from the District’s jurisdiction and boundaries in section 3, except as provided in this section for the exercise of such jurisdiction or for the addition to the boundaries of the District of such specific areas. (5) To exercise exclusive jurisdiction, control, and supervision over the system, or any part thereof owned, operated, or maintained by the District and to make and enforce such rules and regulations for the maintenance and operation of the system as may be, in the judgment of the Board, necessary or desirable for the efficient operation of the system or improvements in accomplishing the purposes of this act. (6) To restrain, enjoin, or otherwise prevent the violation of this law or of any resolution, rule, or regulation adopted pursuant to the powers granted by this act or by general law. (7) To join with any other districts, cities, towns, counties, or other political subdivisions, public agencies, or authorities in the exercise of common powers. (8) To contract with other private or public entities or persons to provide or receive a water supply or for sewage disposal, collection, or treatment or to operate the water or sewer system of such entity or person. (9) To prescribe methods of pretreatment of industrial wastes not amenable to treatment with domestic sewage before accepting such wastes for treatment and to refuse to accept such industrial wastes when not sufficiently pretreated as may be prescribed, and by proper ordinance or resolution to prescribe penalties for the refusal of any person or corporation to so pretreat such industrial wastes. (10) To require and enforce the use of its facilities whenever and wherever they are accessible, and to require and enforce the installation and dedication to the District of water and/or sewer facilities and easements as a condition precedent to the provision of service by the District or by another entity authorized by the District to provide interim service until District facilities are available. (11) To sell or otherwise dispose of the effluent, sludge, or other byproducts as a result of sewage treatment. (12) To accomplish construction by awarding, letting, or entering into contracts for all or any part or parts of the construction of the system in accordance with the Collier County Purchasing Ordinance, and any successor or superceding ordinance, and the Collier County Purchasing Policy Resolution, and any successor or superceding resolutions. (13) To construct and operate connecting, intercepting, or outlet sewers and sewer mains and pipes and water mains, conduits, or pipe lines in, along, or under any streets, alleys, highways, or other public places or ways regulated by or under the jurisdiction of the state or the county or any municipality or political subdivision when necessary or convenient for the purposes of the District. 8 CODING: Words stricken are deletions; words underlined are additions. (14) Subject to such provisions and restrictions as may be set forth in the resolution authorizing or securing any bonds or other obligations issued under the provisions of this act, to enter into contracts with the government of the United States or any agency or instrumentality thereof, with the state or any agency or instrumentality thereof, or with any county, municipality, district, authority, or political subdivision, private corporation, partnership, association, or individual, or any combination(s) thereof, providing for or relating to the treatment, collection, and disposal of sewage, or the treatment, supply, and distribution of water and any other matters relevant thereto or otherwise necessary to effect the purpose of this act, and to receive and accept from any federal or state agency grants or loans for or in aid of the planning, construction, reconstruction, or financing of improvements, additions, or extensions to the system and to receive and accept aid or contributions or loans from any other source of either money, property, labor, or other things of value, to be held, used, and applied only for the purpose for which such grants, contributions, or loans may be made. (15) To enter into interlocal agreements with any municipality, county, district, authority, or political subdivision for any corporate purpose of the District, including, but not limited to, borrowing money for construction of improvements, additions, and extensions to the system. (16) To assume ownership, operation, and control of any county, municipality, district, or authority owned water or sewer system, or both, including the assumption of the financial liabilities associated with such water or sewer system, or both. (17) To divide the system into separate subsystems or subdistricts for purposes of setting rates, accounting, or financing improvements or additions thereto or deletions therefrom. (18) To appoint advisory, administrative, or operational boards and committees to assist the Board in the exercise and performance of the powers and duties provided in this act or otherwise by law. The Board may delegate any or all of its powers and duties to such boards and committees. (19) To do all acts and things necessary or convenient for the conduct of its business and the general welfare of the District in order to carry out the powers and duties provided in this act or then provided in any other law applicable to counties. Section 6. (1) The Board shall adopt the schedule of rates, fees, or other charges for the use of and the services and facilities to be furnished by the water system or sewer system to be paid by the owner, tenant, or occupant of each lot or parcel of land which may be connected with or used by such systems. The current schedule of such rates, fees, and other charges shall be that already in effect in the District and any subdistricts as of the effective date of this act. The Board may thereafter revise the schedule of rates, fees, and charges from time to time. However, such rates, fees, and charges shall be so adopted and revised so as to provide moneys which, with other funds available for 9 CODING: Words stricken are deletions; words underlined are additions. such purposes, shall be sufficient at all times to pay the expenses of operating and maintaining the system, including reserves for such purposes, the principal of and interest on revenue bonds or assessment bonds, or any combination thereof, as the same shall become due and reserves therefore, and to provide a margin of safety over and above the total amount of any such payments, and to comply fully with any covenants contained in the resolution authorizing the issuance of any bonds or other obligations of the District. The District shall charge and collect such rates, fees, and charges so adopted or revised, and such rates, fees, and charges shall not be subject to the supervision or regulation by any other commission, board, bureau, agency, or other political subdivision or agency of the county or state. (2) Such rates, fees, and charges shall be just and equitable and uniform for users of the same class and, where appropriate, may be based or computed either upon the quantity of water consumed or upon the number and size of sewer connections or upon the number and kind of plumbing fixtures in use in the premises, or upon the number or average number of persons residing or working in or otherwise using or occupying such premises, or by equivalent residential units, or upon any other factor affecting the use of the facilities furnished, or upon any combination of the foregoing factors as may be determined by the Board on any other equitable basis. (3) No rates, fees, or charges, including impact fees, shall be adopted or revised under this section until after a public hearing at which all users of the system affected thereby, or owners, tenants, or occupants served or to be served thereby and all others interested shall have an opportunity to be heard concerning the proposed rates, fees, and charges. Notice of such public hearing setting forth the proposed schedule or schedules of rates, fees, and charges shall be given by one publication in a newspaper published in Collier County at least 10 days before the date fixed in such notice for the hearing, which may be adjourned from time to time. After such hearing such schedule or schedules, either as initially adopted or as modified or amended, may be finally adopted. (4) A copy of the schedule or schedules of such rates, fees, or charges shall be kept on file in the office of the District Clerk and shall be open at all times to the public for inspection. The rates, fees, or charges so adopted for any class of users or property served shall be extended to cover any additional users or properties thereafter served which shall fall in the same class, without the necessity of any hearing or notice. Any change or revision of such rates, fees, or charges may be made in the same manner as such rates, fees, or charges were originally established as hereinabove provided, except that if such changes or revisions be made substantially pro rata as to all classes of service, no hearing or notice shall be required. Section 7. (1) The District may, from time to time, issue bonds to pay the costs and expenses, other than operating expenses, incurred in carrying out the purposes of this act or to refund and/or refinance revenue bonds of the District issued pursuant to this act. In anticipation of the sale of such bonds, the District may issue bond anticipation notes and/or commercial paper or similar obligations, and may renew the same from time to time. Such notes 10 CODING: Words stricken are deletions; words underlined are additions. and/or obligations may be paid from the revenues derived by the District from the proceeds of the sale of the bonds of the District in anticipation of which they were issued. The notes and/or obligations shall be issued in the same manner as the bonds. Bonds and notes shall be, and shall be deemed to be, for all purposes, negotiable instruments. (2) The bonds may be issued as serial bonds or as term bonds or the District, in its discretion, may issue bonds of both types. The District may issue capital appreciation bonds or variable rate bonds. The bonds shall be authorized by resolution of the Board and shall bear such date or dates; mature at such time or times, not exceeding 30 years from their respective dates; bear interest at such rate or rates; be payable at such time or times; be in such denomination; be in such form; carry such registration privileges; be executed in such manner; be payable from such sources and in such medium of payment and at such place or places; and be subject to such terms of redemption, including redemption prior to maturity, as such resolution or resolutions may provide. If any officer whose signature, or a facsimile of whose signature, appears on any bonds or coupons ceases to be such officer before the delivery date of such bonds, such signature or facsimile shall nevertheless be valid and sufficient for all purposes as if he or she had remained in office until the delivery. The bonds or notes may be sold at public or private sale for such price or prices as the Board shall determine. Pending preparation of the definitive bonds, the District may issue interim receipts or certificates which shall be exchanged for such definitive bonds. The bonds may be secured by such form of credit enhancement, if any, as the Board deems appropriate. The bonds may be secured by an indenture of trust or trust agreement. (3) The bonds may be validated, at the discretion of the Board, pursuant to chapter 75, Florida Statutes. Section 75.04(2), Florida Statutes, shall not apply to bonds validated pursuant to chapter 75, Florida Statutes. Section 8. Trust funds; trustees.—The proceeds of all bonds or other obligations issued under this act or otherwise pursuant to law, and all revenues derived from the operation of the system for the payment of all or part of the cost of which any bonds or other obligations authorized by this act have been issued shall be and constitute trust funds, and shall be used and applied only in accordance with the proceedings authorizing the issuance of any bonds or other obligations issued pursuant to this act, and the District may appoint trustees, within or without the state, under trust agreements or indentures to hold and administer the proceeds of any such bonds or other obligations or any such revenues. The District may provide that the moneys or funds and accounts established by the proceedings authorizing the issuance of any revenue bonds shall be subject to the lien of the pledge established by the proceedings without any physical delivery thereof and the lien of the pledge shall be valid and binding as against all parties bringing claims of any kind in tort, contract, or otherwise against the District. Section 9. Covenants of the District Board with bondholders.—In addition to the other provisions and requirements of this act, any resolution authorizing the issuance of bonds or any other obligations issued hereunder 11 CODING: Words stricken are deletions; words underlined are additions. may contain provisions and the District Board is authorized to provide and may covenant and agree with the several holders of such bonds or other obligations as to: (1) Reasonable deposits with the District in advance to ensure the payment of rates, fees, or charges for the facilities of the system. (2) The discontinuance of the services and facilities of the system, or both, for delinquent payments for either water services or sewer services, and the terms and conditions of the restoration of such service. (3) Limitations on the powers of the District to construct, acquire, or operate, or permit the construction, acquisition, or operation of any plants, structures, facilities, or properties which may compete or tend to compete with the system. (4) The manner and method of paying service charges and fees and the levying of penalties for delinquent payments. (5) Subject to this act, the manner and order of priority of the disposition of revenues or redemption of any bonds or other obligations. (6) Terms and conditions for modification or amendment of the resolution authorizing the issuance of bonds or other obligations. (7) Provisions for and limitations on the appointment of a trustee for bondholders for the system. (8) Provisions as to the appointment of a receiver of the system on default of principal or interest on any such bonds or other obligations or the breach of any covenant or condition of the resolution authorizing such bonds or other obligations. (9) Provisions as to the execution and entering into of trust agreements regarding the holding and disposition of revenues derived from the system or bonds. (10) Provisions as to the maintenance of the system and reasonable insurance thereof. (11) Any other matters necessary to secure the bonds and the payment of the principal and interest thereof. All such provisions of the resolution shall constitute valid and legally binding contracts between the District and several holders of any such bonds and shall be enforceable by any such holder or holders by mandamus or other appropriate action, suit, or proceeding in law of equity in any court of competent jurisdiction. Section 10. Unpaid fees to constitute lien.—In the event that the fees, rates, or charges for the services and facilities of the system shall not be paid as and when due, any unpaid balance thereof and all interest accruing thereon shall be a lien on any parcel or property affected thereby. Such liens shall be superior and paramount to the interest on such parcel or property of any owner, lessee, tenant, mortgagee, or other person except the lien of county taxes and shall be on parity with the lien of any such county taxes. 12 CODING: Words stricken are deletions; words underlined are additions. In the event that any such service charge shall not be paid as and when due and shall be in default for 30 days or more, the unpaid balance thereof and all interest accrued thereon, together with attorney’s fees and costs, may be recovered by the District in a civil action, and any such lien and accrued interest may be foreclosed or otherwise enforced by the District by action or suit in equity as for the foreclosure of a mortgage on real property. Section 11. Publication of notice of issuance of bonds.—Prior to the issuance of bonds or other obligations, the Board, in its discretion, may publish a notice at least once in a newspaper published in Collier County stating the date of adoption of the resolution authorizing such obligations and the amount, maximum rate of interest, and maturity of such obligations and the purpose in general terms for which such obligations are to be issued, and further stating that any action contesting the bonds, proceedings authorizing the issuance thereof, or of any covenants relating thereto must be instituted within 20 days after the first publication of such notice, or the validity of such obligations or proceedings or covenants shall not thereafter be questioned in any court whatsoever. If no such action or proceeding is so instituted within such 20-day period, then the validity of such obligations, proceedings, and covenants shall be conclusive, and all persons or parties whatsoever shall be forever barred from questioning the validity of such obligations, proceedings, or covenants in any court whatsoever. Section 12. Bonds; qualities of negotiable instruments; rights of holders.—All bonds issued hereunder shall not be invalid for any irregularity or defect in the proceedings for the issuance and sale thereof and shall be incontestable in the hands of bona fide purchasers for value. No proceedings in respect to the issuance of such bonds shall be necessary except such as are required by this act. The provisions of this act shall constitute an irrevocable contract between the District and the holders of any such bonds or coupons thereof issued pursuant to the provisions hereof. Any holder of such bonds may either at law or in equity, by suit, action, or mandamus, enforce and compel the performance of the duties required by this act or by general law, or of any of the officers or persons herein mentioned in relation to said bonds, or the levy, assessment, collection, and enforcement and application of the revenues, assessments, or other funds pledged for the payment of the principal and interest thereof. Section 13. Annual reports of the District Board.—The District Board shall cause to be made at least once each year a comprehensive report of its system, including all matters relating to rates, revenues, expenses of maintenance, repair, and operation and renewals and capital replacements, principal, and interest requirements and the status of all funds and accounts. Copies of such report shall be filed with the District Clerk and shall be open to public inspection. This report will be known as the annual audit report and shall be issued by a certified public accountant appointed by the Board. The annual audit report may be included as part of Collier County’s comprehensive annual report or may be issued separately. Section 14. District bonds as securities for public bodies.—All bonds issued pursuant to this act shall be and constitute legal investments for state, county, municipal, and all other public funds and for banks, savings banks, 13 CODING: Words stricken are deletions; words underlined are additions. insurance companies, executors, administrators, trustees, and all other fiduciaries and shall also be and constitute securities eligible as collateral security for all state, county, municipal, or other public funds, subject to the restrictions and limitations of chapters 18, 136, 518, 655, 657, 658, 660, 663, 665, and 687, Florida Statutes. Section 15. Contracts.—All contracts of the District awarded, let, or entered into shall be in accordance with the Collier County Purchasing Ordinance, or any successor ordinance, and the Collier County Purchasing Policy Resolution, or any successor or superceding resolution(s). Section 16. Special assessments.—The Board may provide for the levy, collection, and enforcement of special assessments utilizing any of the following methods and procedures or any combination thereof: chapter 170, chapter 173, or section 197.3632, Florida Statutes; or the Board may adopt its own method of procedures for the levy, collection, and enforcement of special assessments upon compliance with the notice and hearing requirements set forth for the adoption of rates, fees, and other charges. The Board may contract with the Collier County Tax Collector, Property Appraiser, and/or District Clerk to collect such special assessments as may be levied by the District. Section 17. Free water and sewer services prohibited.—No free water or sewer services shall be rendered by the District and no discrimination shall exist in the fees, rates, and charges for users of the same class. Section 18. Impact Fees.— (1) The District by this act is empowered to levy and collect water impact fees and/or sewer impact fees for capital improvements and debt service on such capital improvements in the same manner and to the same extent as non-charter counties and/or as may be provided by law. The District is empowered by this act to levy and collect water and/or sewer impact fees only within the then-existing geographic boundaries of the District. If the building, structure, or land use on the property for which impact fees have been paid is not authorized to connect to the District’s systems within 10 years of the date of such payment, the property owner holding legal title at the end of the 10-year period shall be eligible for a refund of the impact fees without interest. The District shall notify the property owner of his or her eligibility for a refund by mailing notice to the property owner. Such notice may be sent by certified or registered mail with return receipt requested. Any property owner eligible for a refund shall file written application with the Board for a refund within 90 days of the date of mailing of the notice by the District or such property owner shall be deemed to have waived any right to a refund, and the District shall be entitled to retain and apply the impact fees for water and/or sewer capital improvements, as appropriate. Failure to construct the building or structure or use the land for which impact fees have been paid shall not constitute grounds for a refund, nor shall delay or failure to receive the mailed notice of eligibility for a refund toll the 90-day time limit within which an application for refund must be filed. 14 CODING: Words stricken are deletions; words underlined are additions. (2) Water impact fees and sewer impact fees should be reviewed at least every 3 years by the Board to determine that the impact fees are equitable and proportionate to the current estimate of costs for providing the capital improvements for which the impact fees are imposed. The applicable schedule of impact fees shall be those already in effect in the District and any subdistricts as of the effective date of this consolidating act. The Board may thereafter change or revise the schedule of impact fees upon compliance with the notice and hearing requirements set forth for the adoption of rates, fees, and other charges. (3) The Board, in its discretion, by ordinance may permit the owners of buildings, structures, or land uses which connect to the District’s system to pay the impact fees on an installment basis with interest. In the event that the impact fees shall not be paid as and when due, any unpaid balance thereof and all interest accruing thereon shall be a lien on any parcel of property affected thereby. Such liens shall be superior and paramount to the interest on such parcel of property of any owner, lessee, tenant, mortgagee, or other person except the lien of county taxes and shall be on parity with the lien of any such county taxes. In the event that any impact fees shall not be paid as and when due and shall be in default for 30 days or more, the unpaid balance thereof and all interest accrued thereon, together with attorney’s fees and costs, may be recovered by the District in a civil action, and any such lien and accrued interest may be foreclosed or otherwise enforced by the District by action or suit in equity as for the foreclosure of a mortgage on property. (4) Impact fees may be pledged to the payment of bonds or other obligations of the District, provided that the District has agreed in the resolution authorizing such bonds or other obligations that it maintain net revenues, together with special assessment proceeds and other revenues derived by the District, exclusive of impact fees, equal to at least 100 percent of the debt service on such bonds or obligations. (5) Nothing in this act shall be construed to invalidate water and sewer impact fees previously levied and collected and pledged by the Board of County Commissioners of Collier County under its preexisting implied authority to levy and collect and pledge such charges on the effective date of this consolidating act. Section 19. Conveyance of property without consideration.—Any municipality, political subdivision, district, or authority shall be authorized to sell, lease, grant, or convey any real or personal property to the District and any such sale, grant, lease, or conveyance may be made without consideration. Section 20. District approval of construction of water and sewage facilities.—No sewage disposal plant or other facilities for the collection or treatment of sewage or any water treatment plant or other facilities for the supply or distribution of water, shall be constructed within the boundaries of the District unless the District Board shall give its written consent thereto and approve the plans and specifications therefore; subject, however, to the terms and provisions of any resolution authorizing any bonds and agreements with bondholders. 15 CODING: Words stricken are deletions; words underlined are additions. (1) The provisions of this act shall be liberally construed to affect its purposes and shall be deemed cumulative, supplemental, and alternative authority for the exercise of the powers provided herein. The exercise of the powers provided in this act and the issuance of bonds or other obligations hereunder shall not be subject to the limitations or provisions of any other law or laws, including part II of chapter 153, Florida Statutes, except to the extent expressly provided herein. In the event of any conflict between this act and any other applicable law or laws providing cumulative, supplemental, and/or alternative authority to counties and/or such districts for the exercise of the powers provided herein, the least restrictive in favor of the District’s powers shall apply. (2) Nothing contained in this act shall be construed to affect any actions taken or any contracts previously entered into by the Board of County Commissioners of Collier County for the provisions of water and/or sewer services within the boundaries of Collier County. Nothing herein shall be construed to conflict with the jurisdiction of the Florida Public Service Commission as then provided in chapter 367, Florida Statutes. (3) If any section, sentence, clause, phrase, or word of this act is for any reason held or declared to be unconstitutional, inoperative, or void, such holding or invalidity shall not affect the remaining portions of this act, and it shall be construed to have been the legislative intent to pass this act without such unconstitutional, invalid, or inoperative part therein; and the remainder of this act, after exclusion of such part or parts, shall be deemed and held to be valid as if such parts had not been included herein. Section 22. Penalties and enforcement.—Penalties for a violation of any provision of this act or any of the ordinances, rules, regulations, or resolutions adopted pursuant to the authority of this act or otherwise shall be as provided for the violation of county ordinances. In addition, the District may seek enforcement of this act and/or damages, plus costs and attorney’s fees, for a violation of this act, or a violation of any of the ordinances, rules, regulations, or resolutions adopted pursuant to the authority of this act or otherwise, in any court of competent jurisdiction as authorized by general law. Section 4. Chapters 73-437, 74-462, 77-531, 78-489, 78-492, 80-484, 82280, 88-499, 89-452, and 96-451, Laws of Florida, are repealed. Section 5. This act shall take effect upon becoming a law. Approved by the Governor June 26, 2003. Filed in Office Secretary of State June 26, 2003. 16 CODING: Words stricken are deletions; words underlined are additions. 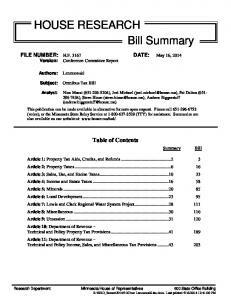 Report "CHAPTER House Bill No. 849"